A lot has been said about the lack of representation of the disability community on TV and in movies. I’m not disabled but I have a daughter with ASD (Autism Spectrum Disorder) and it concerns me how lopsided the media is with its portrayals of disability. At the moment Sophia, 8, prefers Peppa Pig but it would be nice if in the future she could see characters on shows she watches that she can identify with, that reflect her experiences. The same can be said about parents of children with a disability. We also look for commonality in the plots and characters that cross both the big and small screen. It’s about feeling included, validated and respected in our life experiences too. In the absence of a person in their family with a disability, many people look to popular media for a point of reference. This can be both a help and a hindrance. Take, for example, the movie Rain Man. It’s an instantly recognisable movie reference that people can call on to illustrate their awareness (or lack of awareness in many cases) of ASD. More recent attempts to portray ASD have resulted in a glut of eccentric, quirky, super-intelligent, computer-savvy but socially-inept type characters on our screens, of the Big Bang and CSI variety. These type of characters are equally as harmful, as they focus on stereotypes, and usually focus on individuals at one end of the spectrum, leaving autists like my daughter completely unrepresented. Agreed, a small girl who speaks sparingly, dodges eye contact and loves to twirl ribbon might not equate to television gold. But it would add balance to the media's portrayal of ASD! Emphasising "tragedy" rather than "change"
And what about me? As a parent of a child with ASD, where is my representation in the media? The corny, stereotype-ridden plotlines of TV movies like The Black Balloon or After Thomas leave me feeling embarrassed at the inaccuracy and emphasis on the "tragedy" rather than "change" that occurs when the word "autism" enters your world. 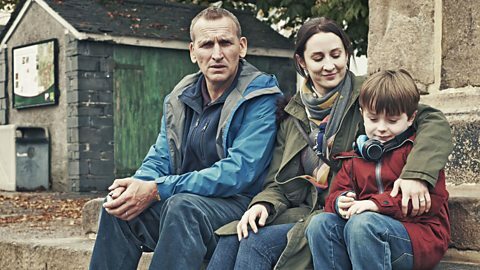 That’s why I was pleasantly surprised by the BBC drama The A Word, currently showing on UKTV. It depicts a family whose five-year-old son is diagnosed with autism. The plot focuses on the initial upheaval after a diagnosis, and the change in family dynamics that ensues. It touches on the enforced social isolation that whole families experience. And strike me down, it even incorporates humour! Who knew ASD was allowed a funny bone! What a refreshing change in tack. As with many aspects of this parenting journey, what might be relevant and relatable in my life, might seem like science fiction to another mum or dad. It’s about connecting on a human level, not ticking all the boxes of neurological symptoms in the first episode. I appreciate honest, real, and balanced portrayals. I just wish there were more of them to choose from. Original generation time 1.6923 seconds. Cache Loaded in: 0.0372 seconds.